Women are a growing presence in the type design community, and there are many reasons you might wish for a font collection that highlights their work. Perhaps it’s appropriate for a project you’re doing, or perhaps you want to celebrate the work of creative women. This font pack features high-quality, beautifully crafted typefaces from four different families, suitable for text and display: Maiola by Veronika Burian, Eskorte by Elena Schneider, Edita by Pilar Cano, and Ernestine by Nina Stössinger. Also included is one eye-popping display face—Blenny by Spike Spondike. If this list inspires you, know that it’s only the tip of the iceberg. Women in type design have built networks such as Alphabettes.org, and they have shared lists of woman-designed fonts, such as Victoria Rushton’s Fonts By Women and Loraine Furter’s Badass Libre Fonts By Women. Tell us a story about you and fonts. When I was a student at The Cooper Union in the early 1980s, our frame of reference was strictly modernist. According to Massimo Vignelli, designers could survive on a five-font diet. My professors espoused a similar philosophy. They told us to stick to the classics: Garamond, Caslon, Baskerville, Bodoni, and Helvetica—with an occasional shot of Futura. Gender and diversity were not on the menu. Design’s heritage was male and European. In my own career as a designer, educator, and critic, I’ve made it a point to celebrate work by women. What is your process for selecting typefaces? As a writer who designs her own books, I need typefaces that work well for text and small sizes. I’m drawn to typefaces that have distinctive personalities that don’t get in the way of reading. For me, typography is an interface and gateway to language, so I wants words and sentences and paragraphs to shine through those letterforms. Because a book takes several years to write, I get to know my typefaces well. Font families with small caps and beautiful numerals are important to me. A fully developed type family supports multiple languages and has a rich array of alternate characters. What is your advice for designers working with fonts? Today, we live with typographic overload. It’s easy now for designers with minimal type training to create quirky fonts, which may not stand up to heavy use by other designers. The most useful typefaces are part of bigger families. Get to know the whole family, and learn how all the parts work together. Some differences are subtle, such as “regular” and “book.” An italic face may have a mind wholly its own, or it may be a slanted version of the roman characters. Some italics—like Ernestine Pro—hardly slant at all. Create your own type specimen with sample content to explore these subtle differences as you create a palette of typefaces for a brand, publication, or website. Details like fractions, ligatures, and numerals infuse a typeface with beauty and refinement. What is your advice for people new to typography? Typography is ultimately not about single letterforms but about words, phrases, and blocks of text. Typography is a system of parts that create a larger whole. Try working with one type family and seeing how much you can do with its inherent variations in weight and style. See the differences in voice and effect that occur when you switch from caps to lowercase to small caps to title case. Many projects can be successfully completed with one well-designed type family. You may also want to add a distinctive display face for a main title, product name, or other featured content element. Ellen Lupton is a writer, curator, educator, and designer. She is Senior Curator of Contemporary Design at Cooper Hewitt, Smithsonian Design Museum in New York City. 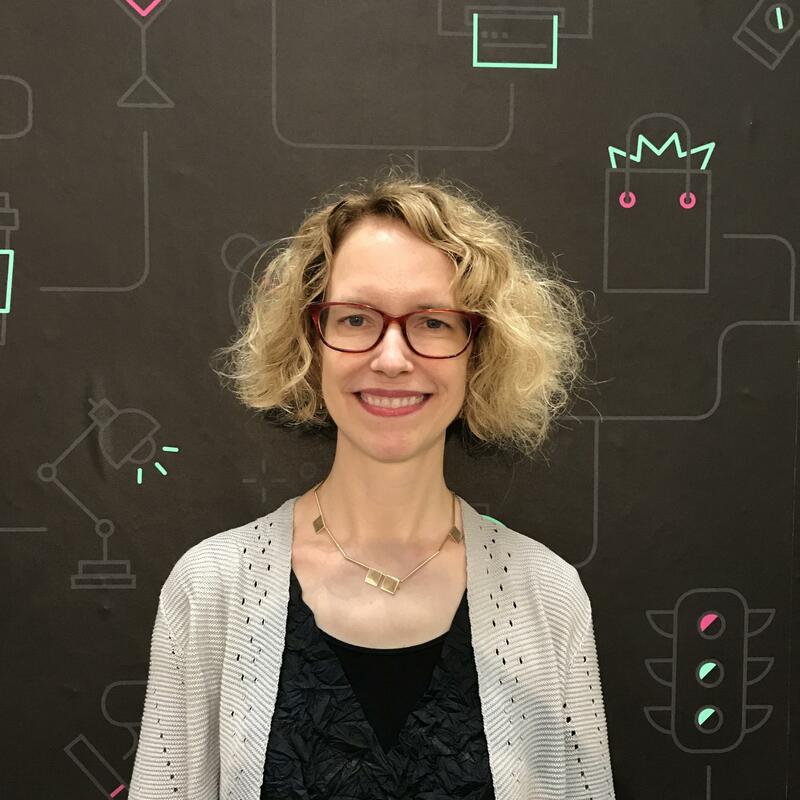 Lupton is founding director of the Graphic Design MFA Program at Maryland Institute College of Art in Baltimore, where she has authored numerous books on design processes, including Thinking with Type, Design Is Storytelling, Graphic Design: The New Basics, and Type on Screen. Her free online Skillshare courses include Graphic Design Basics, Typography That Works, and How Posters Work.